Home > Comet Clutches and Parts > Comet 102C, Part 208301A - Uncalibrated drive clutch. NO cam arms or spring. > 216097A Comet 102C Clutch Puller Tool. Used for 1995 and earlier. 216097A Comet 102C Clutch Puller Tool. 216097A Comet 102C Clutch Puller Tool. Used for 1995 and earlier. 216097A Comet Clutch Puller Tool. Used for 1995 and earlier Comet Industries 102C clutches. 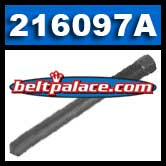 OEM Comet Part #: 216097A. REPLACES: Clutch Puller 725-023, Arctic Cat 0644-100. Comet 102C, Part 208301A - Uncalibrated drive clutch. NO cam arms or spring. Comet 208301A, Comet Industries Model 102C - Uncalibrated drive clutch. Cam arms and spring sold separately. Fits vintage-modern Yamaha snowmobiles and suitable for custom applications requiring long life, rugged design, and adaptability.